Meet and Greet in Johannesburg on arrival and transfer to your accommodation in Fourways to freshen up before we embark on a tour to SoWeTo, South Africa’s largest Township. Our local guide joins us and takes us on a journey of discovery through this lively city within a city. Perhaps we have a chance to catch up with some local motorcycle riders at one of their local hangouts and enjoy a local beer at the shebeen before we return to our accommodation in the afternoons. Welcome dinner and tour briefing in a restaurant in Johannesburg. Today we get an early start and head through Maize Country on our way towards the Vaal Dam. In Deynesville we stop to visit the Motorcycle Museum and enjoy a chat at the biker bar at the Lake View Inn before continuing along the shores of the dam towards the might Barrier of Spears. After exploring the town of Clarens we ride through the Golden Gate National Park and on to our accommodation in the mountains. Dinner at the lodge. Today we embark on a trip up the famous Sani Pass. The awe-inspiring Sani Pass climbs the face of the escarpment to an altitude of 2874m and into the “Mountain Kingdom of Lesotho”. It is the getaway to the “Roof of Africa”. The scenery is breathtaking and attracts visitors from all over the world. Originally developed as a bridal path in 1913, the pass served as an important link between the Underberg district and the remote settlement of Mokhotlong, in north-eastern Lesotho. The first vehicle negotiated the path in 1948. 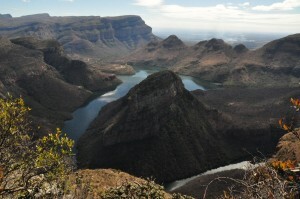 It is now used for the most part by 4×4 vehicles and has become the highlight of the Southern Drakensberg. The tour will reveal the history of the pass, geology of the mountains, flora & fauna, and a unique experience with the Basotho people. The highest pub in Africa offers a cold beer & lunch before the descent back to Underberg. 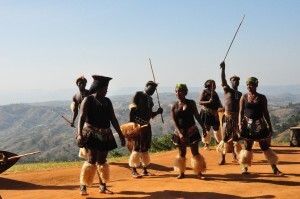 welcomes us to his village and after a tour we are treated to a performance of African Dancing before enjoying dinner. After breakfast the young boys of the villages demonstrate the art of stick fighting and you have the opportunity to give it a try before we head for the Elephant Coast. After checking in at our accommodation we embark on a boat cruise on the Estuary to view crocodiles and hippos. Dinner in St. Lucia. Today we depart early and ride up to the Hluhluwe/Impfolozi Game Reserve where we meet up with our ranger and his open safari vehicle. We enjoy a 3 hour open vehicle safari in the Reserve including a picnic breakfast before returning to our bikes and heading up the coast to Sodwana Bay. Return to St. Lucia in the late afternoon. Today’s Ride takes us into the Kingdom of Swaziland. Leaving Zululand and South Africa behind, we head for the Ezulweni Valley. After a little shopping at the craft markets in Manzini we reach our destination deep in the forest in the afternoon. After breakfast we head back towards South Africa enjoying the winding roads of northern Swaziland. A short photo stop at the Maguga Dam before we continue to the border where we stop to enjoy a light lunch and get some insight into Swazi Culture at the Matsamo Cultural Village. 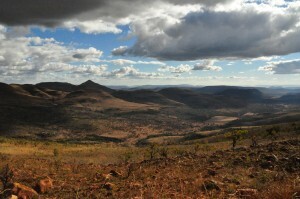 In the afternoon we make our way into the Lowveld to Hazyview. Today we get an early start and leave the bikes behind at our accommodation as we head into the Kruger National Park for a full day of game viewing in an open safari vehicle with a ranger. We enjoy a packed breakfast and a picnic lunch in the park. Today’s journey takes us through lush green forests, mountain passes and spectacular scenery await us on today’s journey as we ride along the panorama route. 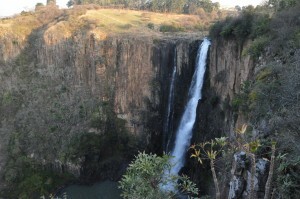 We follow the meanderings of the Olifants and Blyde rivers on our way to Tzaneen. The day is filled with many photographic highlights and winding roads past waterfalls, through valleys and across mountains. After a refreshing swim we enjoy dinner at our guesthouse this evening. After breakfast we head back towards Johannesburg. Our route takes us through Limpopo and on into the North West Province. We stop in Bela Bela (Warm Baths) in the afternoon for refreshments before making our way to our accommodation. After breakfast transfer to OR Tambo International Airport in time for flight home.